An asbestos survey in Wakefield is required before you can begin with the renovations to your building. We offer an expert and comprehensive asbestos survey in Huddersfield which is one of the most important tasks to be undertaken before a building is demolished or renovated. The elimination of all your asbestos challenges begins with a comprehensive asbestos survey in Keighley. 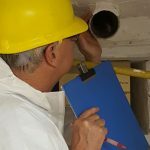 Why does it matter to have an asbestos survey in Bradford? Protect your building’s occupants with a reliable asbestos survey in Dewsbury. An asbestos survey in Skipton is necessary as asbestos is one of the most common hazardous materials found in buildings. Here’s why you might need an asbestos survey in Ingleton. This natural occurring material has been mined and used for over 4000 years. It’s crucial to have an asbestos survey in Fleetwood done if you suspect you have the lethal element present in your building. An asbestos survey in Morecambe is a legal and moral obligation for commercial property owners. If you need a professionally done asbestos survey in Kendal, contact ACS.